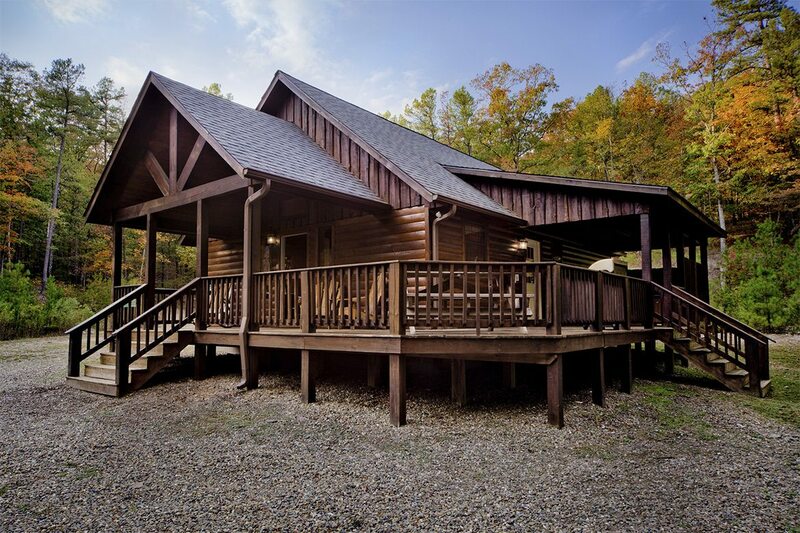 The first of two Broken Bow cabins sharing eight acres, Juniper Hollow Cabin is very secluded. 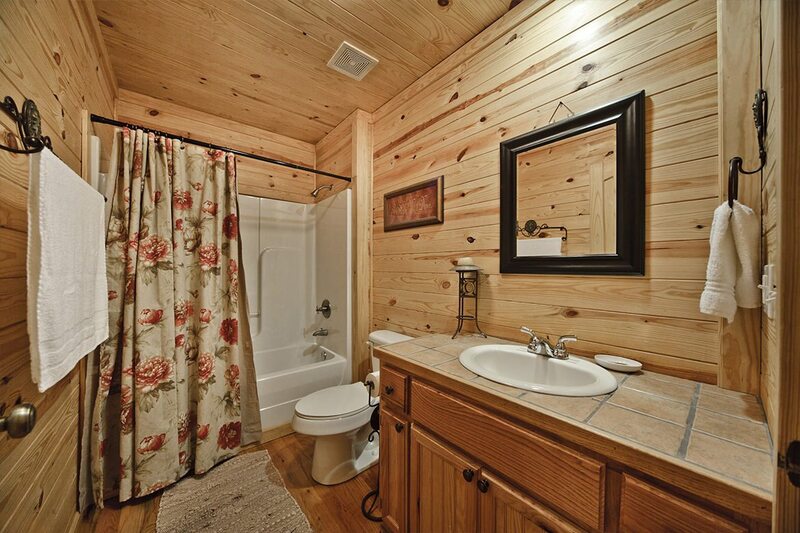 With plenty of parking for your boat or trailer, this cabin can easily accommodate six people. 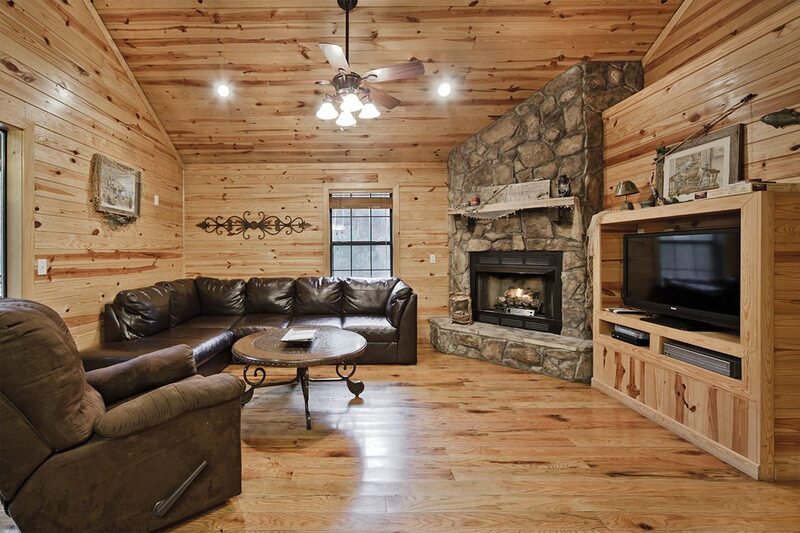 The cabin has two bedrooms with king size beds, two baths and a queen size pullout sofa bed. 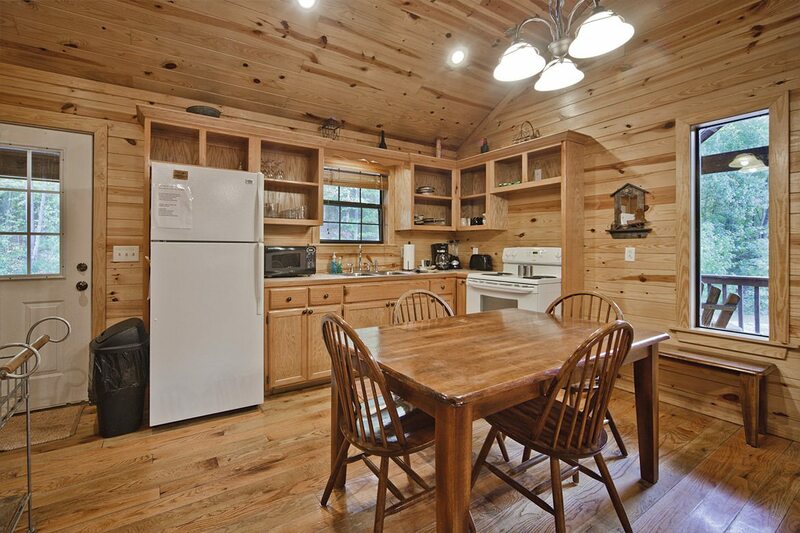 With a fully furnished kitchen and gas and charcoal grill, you can choose to cook indoors or out. Also to enjoy outside are a fire pit, hot tub and picnic table. 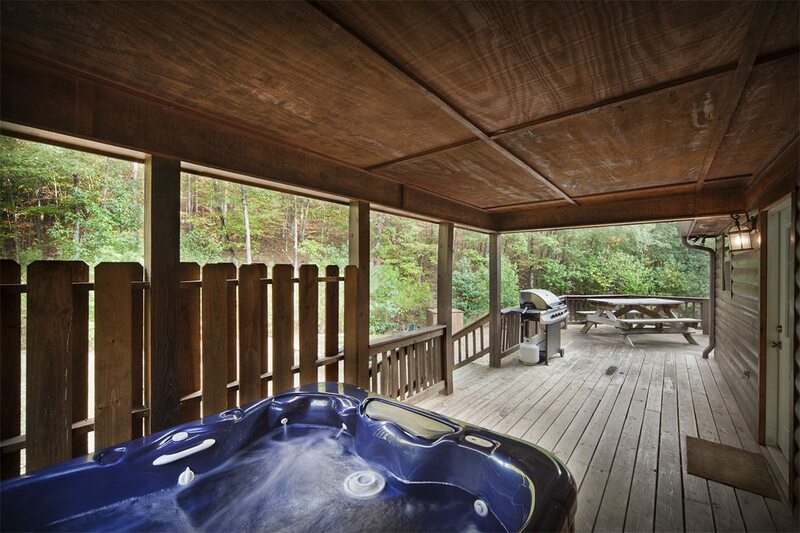 All hot tubs are drained, cleaned and refilled after each visit in our Broken Bow cabins. Don’t miss a game or movie on the 42” High Definition television with HBO and Cinemax or bring your own and use the DVD player.